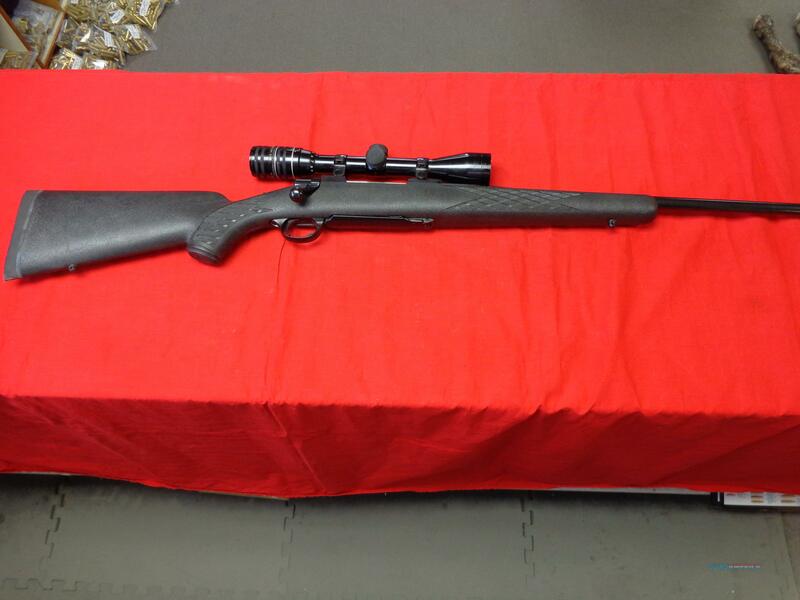 Description: RUGER M77 IN 30 - 06 , 22 " BARREL , INSTALLED IN A BLACK SYNTHETIC RAMLINE STOCK WITH A NICE HUNTER RECOIL PAD , WEATHERBY 3 X 9 X 40 SCOPE IN RUGER RINGS , BORE CLEAN , GUN TIGHT , MINOR BLUE WEAR ON METAL , STOCK APPEARS NEW . SEE PICS . WE CHARGE ACTUAL SHIPPING COSTS .